Bordeaux has something like five thousand different Châteaux all making wine – and inevitably you get the full gamut made, in terms of quality. There is a lot to avoid, but also some real gems too thankfully. One brilliant example is 2009 Château du Maine made by the charming Jean-Pierre Duprat. 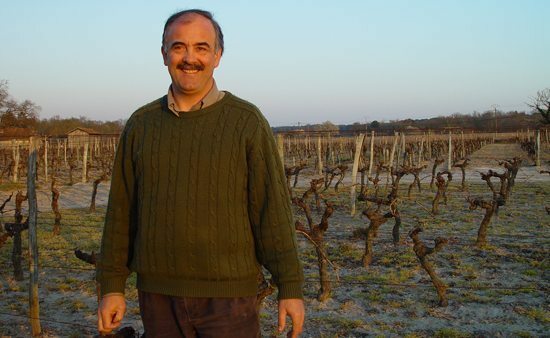 He is a skilled winemaker with a well situated vineyard in Les Graves de Langon which turns out great wines even in the most difficult vintages. We have bought from him for at least a fifteen years and his wines have always epitomised the best of value from the Graves, an absolute steal for under £13. ‘Deep in colour, scented with rich berry fruit, full and persistent in the mouth with very fine tannins, this has remarkable length too. Brilliant value Graves for easy drinking‘. The wine cépage is comprised of 55% Merlot, 27% Cabernet Sauvignon, 10% Cabernet Franc and 8% combined of Petit-Verdot and Malbec. Although delicious to drink on its own, we thoroughly recommend given the weather the classic shepherds pie and claret pairing. The soil is composed mainly of gravel and coarse sand with a gravel-clay subsoil, that offers excellent drainage for the vines (in fact Graves in French means ‘Gravelly land’), so the roots dig deep producing consistently high quality fruit every year. Hence his wines are less affected by late season or harvest time rains. Monsieur Jean-Pierre Duprat (you can see the typical Graves sandy soils behind him). The real secret of Château du Maine lies in the very careful élevage in barrels of a good spread of ages (a touch of new wood, but mostly two, three or four year old barrels) is the key here, honing the initial fruit to a fine delicacy. Mais Château du Maine, ou-est-il? 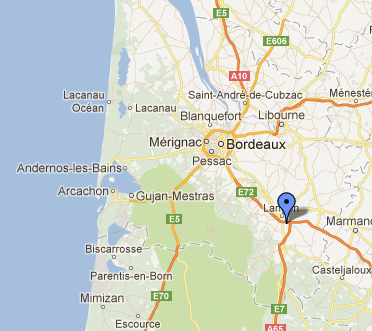 Located on the left bank of the Garonne river, in the upstream part of the Bordeaux region, Les Graves de Langon and Château du Maine can be found well south of the better-known vineyard area of Pessac-Léognan. We have plenty of Chateau du Maine in stock and needless to say there will be a few bottles going home amongst our staff this evening to ward off the cold. You can buy online here, email us at sales@leaandsandeman.co.uk or simply drop by one of our shops in Chelsea, Kensington, Chiswick or Barnes which are open until 8 in the evening apart from Sundays. The wine is also available to buy in half bottles.